Trips to Croatia usually mean tough matches and last night wasn't an exception. Real Madrid managed to bring home the 3 points, after beating Dinamo Zagreb by 0-1, in a goal originated from good a passing combination between Cristiano Ronaldo, Benzema, Marcelo and Di Maria. Real Madrid assured their first win in the UEFA Champions League debut this season, after traveling to Croatia and beating Dinamo Zagreb by 0-1. For the first time since 1971, Real Madrid wore the red shirt uniform and nothing better than a win to celebrate that nostalgic moment. Cristiano Ronaldo started the match on the line-up and was close to score for a few times, but Dinamo Zagreb's goalkeeper, Kelava, had a tremendous night and prevented all attempts. Marcelo was sent off after a double yellow card seen in less than 10 minutes, around the 68th minute, but Real Madrid managed to keep the pressure and hold on to the 3 points. 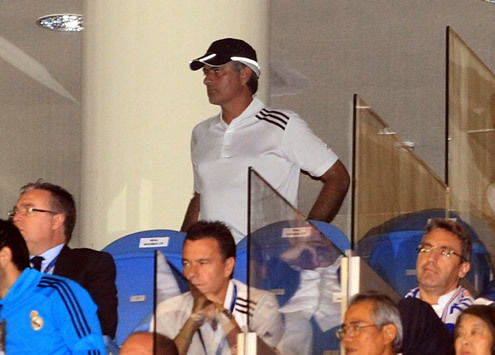 José Mourinho had to see the game from the crowd, due to the UEFA sanction, coming from last season incidents against Barcelona. This was definately a good game to certify Fábio Coentrão's versatility, as the Portuguese played as deep midfielder, left-back and still helped the attack in several occasions. Pepe also had a great performance, presenting himself solid and very quick in anticipating and winning rebounds. However, Real Madrid's match had a few similarities to the one against Getafe, as there seem to be a few problems when attempting to make the game flow with precise and quick passing in the midfield and the defense seems a bit uncoordinated. Nuri Sahin is still recovering from an injury and there's no expected date for his return. Sami Khedira is still working on his fitness, before being ready to compete again. Real Madrid dominated the first half, having created a few good goal scoring chances that Benzema, Cristiano Ronaldo, Ozil and Di Maria couldn't finish in the best possible way. Sometimes the ball hit the post but in others, Dinamo Zagreb goalkeeper, Kevala, showed some good skills between the posts. The game would reach the halftime without any goal from any team and all the decisions were about to be delayed for the second half. The new Real Madrid red jersey served as talisman, as the Merengues didn't wear these colors since 1971. Close to the 52th minute, the only goal of this match came up, after a very good play started by Cristiano Ronaldo, who passed the ball to Benzema, who in return left it over to Marcelo, for the Brazilian to assist Di Maria for the first and winning goal of this game. Dinamo Zagreb didn't stop fighting and would still have a small help from the Norwegian referee, Oddvar Moen, after Marcelo got sent off for a pretense dive inside the penalty area. However, Real Madrid pulled back their lines and managed to keep a clean sheet, assuring an important win and the lead of Group D, after tonight's draw between Ajax and Lyon 0-0. On a side note, we would like to invite you to check out one of the new pages opened: Cristiano Ronaldo workout and training regime, where you may read a few tips and information about CR7 training plan, in order to always be in good shape. Real Madrid next match will be against Levante for the Spanish League La Liga, in the 18th of September. You can watch Levante vs Real Madrid live streams, inside our Live Games Streams page. 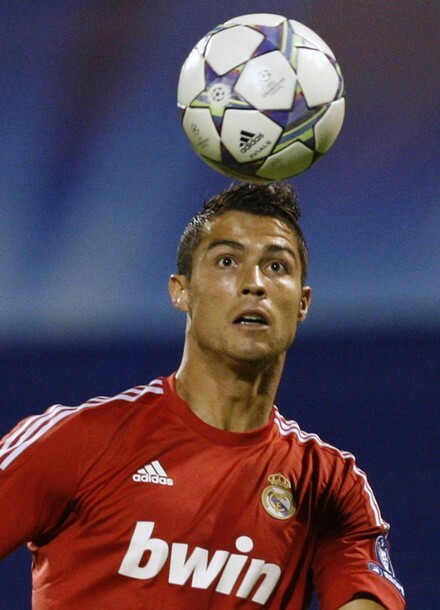 Cristiano Ronaldo is expected to play from the start. The countdown clock timer, displaying the time left for the next Ronaldo game, is shown on the top right corner of all pages. You can also watch Manchester United vs Chelsea live streams, and Barcelona vs Osasuna in our recently added pages.